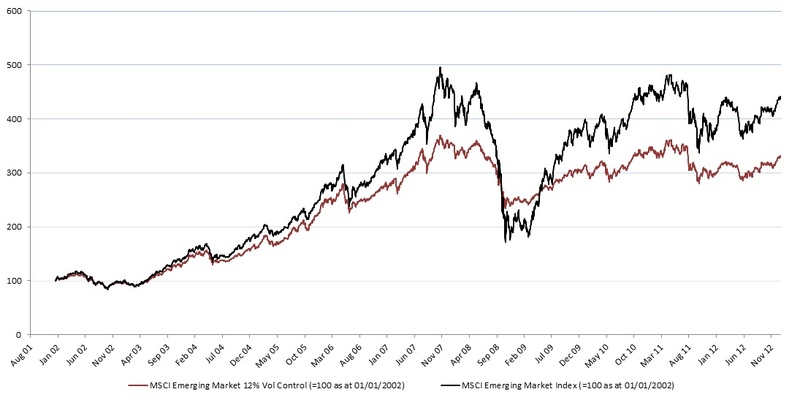 Since the dot.com-inspired lows of the early 2000s, Emerging Markets have delivered healthy returns to investors, but not without volatility. 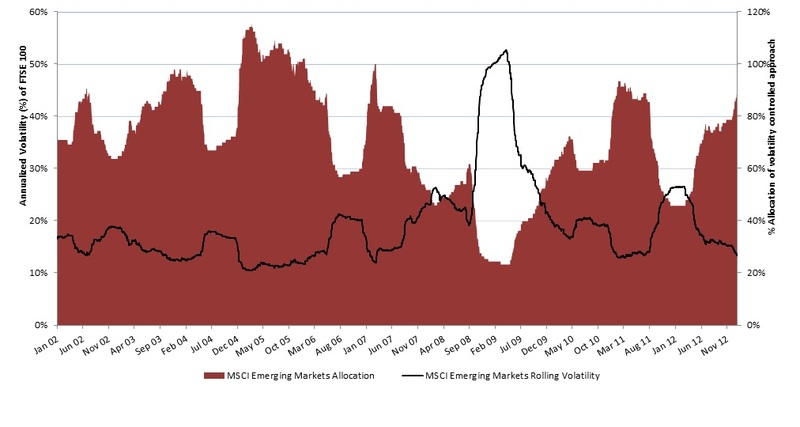 Over the period from the start of 2002 to the end of 2012 the MSCI Emerging Markets (USD) index has experienced an annualized volatility of 21%p.a.,and a largest drawdown of -65% during the period 2008-2009. These occasional large drawdowns and periods of volatility continue to worry investors. Is there an approach to investing in Emerging Markets that can help? A strategy which gained exposure to the MSCI Emerging Markets index using a volatility controlled approach, where exposure was scaled back during periods of heightened volatility delivered a higher sharpe ratio and lower drawdowns over the period, although returns can appear un-spectacular compared to the risk-unconstrained approach of allocating a fixed market exposure. Which return stream do you prefer? Volatility Radar : is there anything out there ?